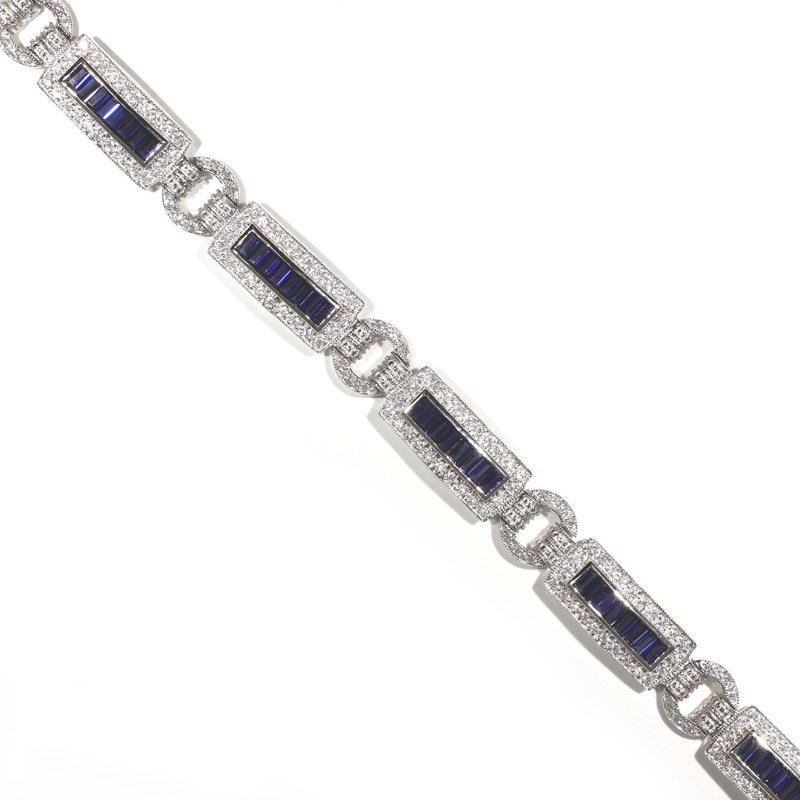 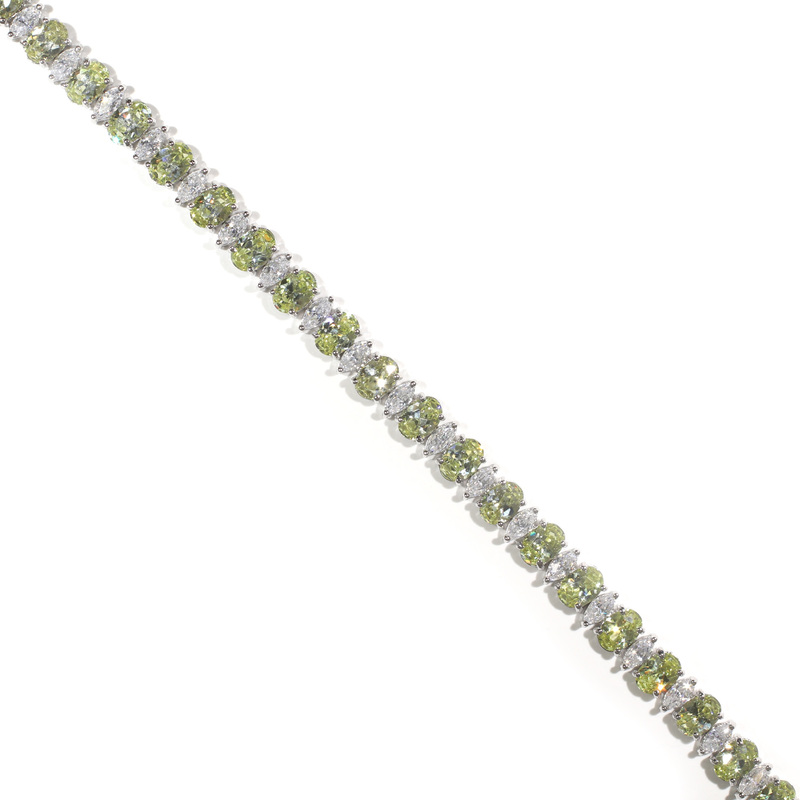 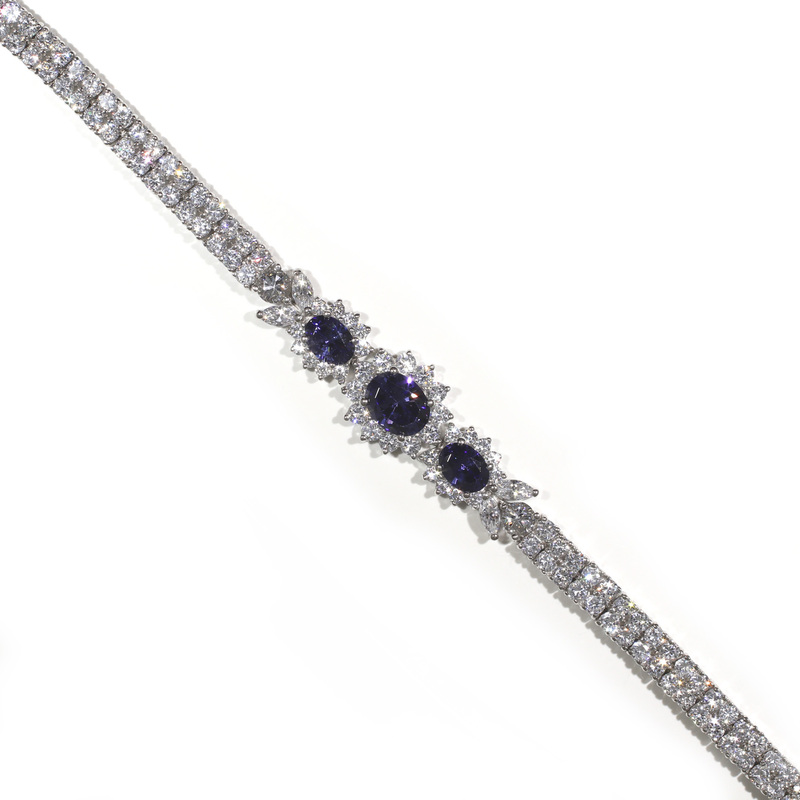 Graduated bezel set stones are the centerpiece of this bracelet. 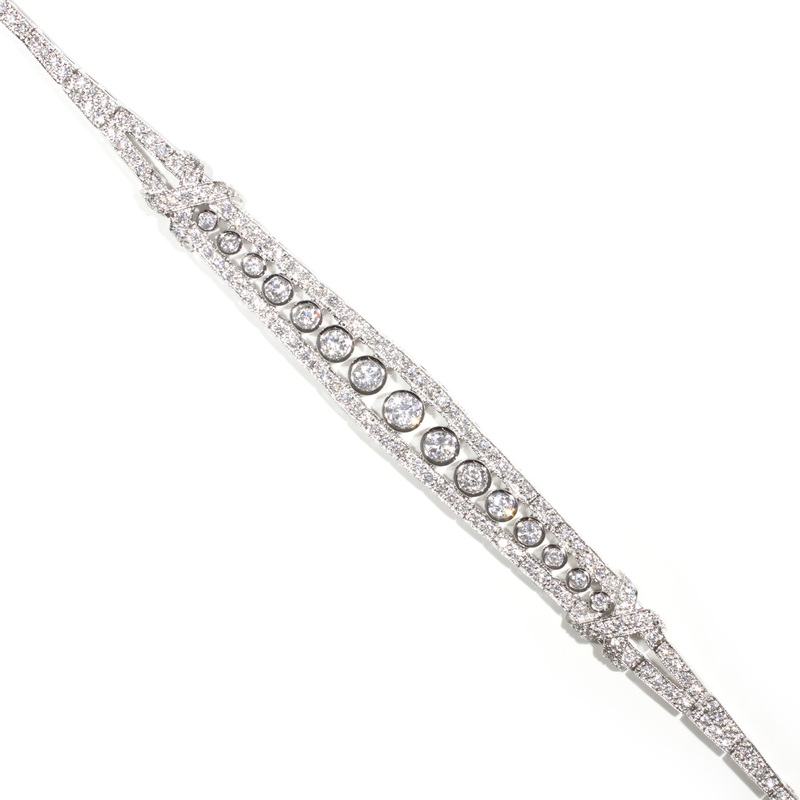 A pavé of small round brilliants decorate the length of the piece. 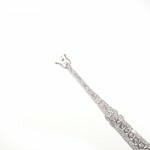 Bracelet measures .50″w x 7.5″l. 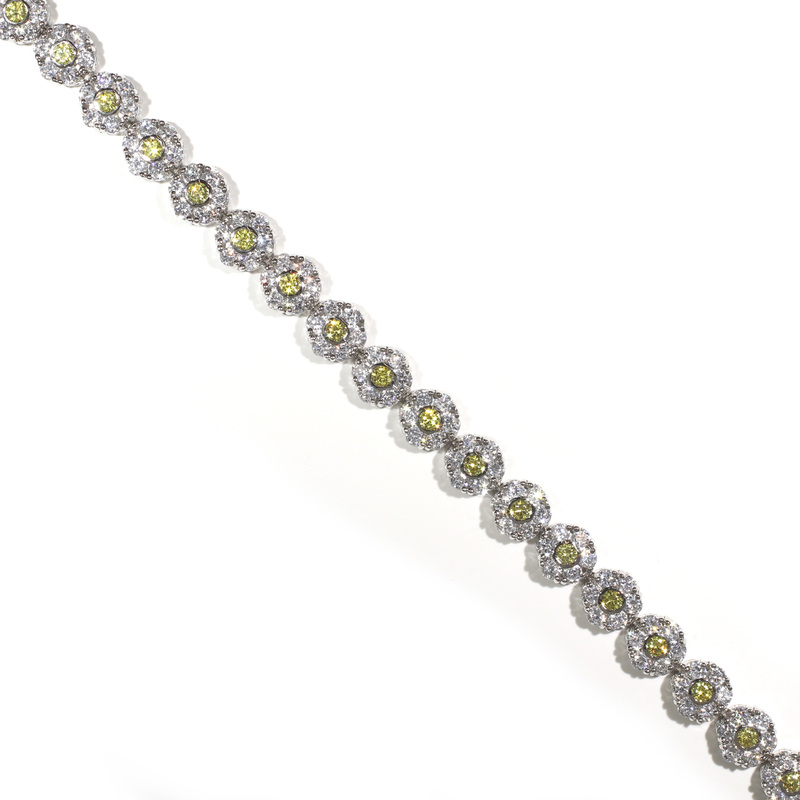 All stones are Russian cubic zirconia set in Platinique®.